The opposition has accused the government of targeting Indian Muslims under the pretext of finding illegal migrants. Ziauddin Ali Ahmed is the nephew of Fakhruddin Ali Ahmed, the fifth President of India. A relative of a former President of India has said his family is among the 40 lakh people left out of the draft citizens' list in Assam. Ziauddin Ali Ahmed is the nephew of Fakhruddin Ali Ahmed, the fifth President who took charge in 1974 and died in office in 1977. Bengal Chief Minister Mamata Banerjee today cited it as an instance of how genuine Indian citizens settled in Assam are being left out of the citizens' list which is meant to zero in on illegal migrants from Bangladesh. "Our names are not mentioned in the NRC list as my father's name is not mentioned in the Legacy Data document. I will get in touch with my uncle's family members," Ziauddin Ali Ahmed told reporters. Legacy data refers to the documents that show an applicant's parents were living in India in 1951, when the last such list was prepared. "I am surprised to see that the names of our former President Fakhruddin Ali Ahmed's family members are not on the NRC Assam list," Mamata Banerjee told reporters in Delhi today. "What can I say? 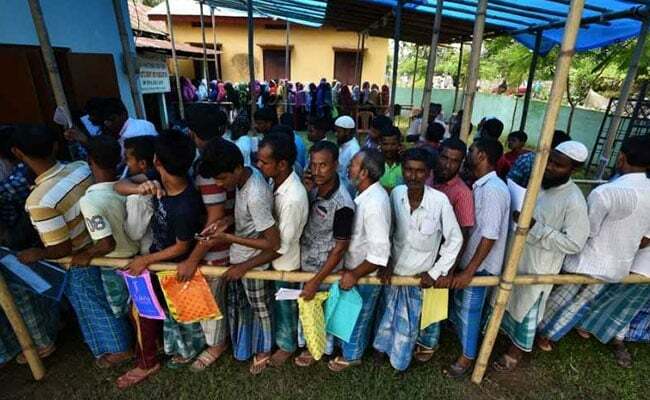 There are so many people whose names are not there," said the Bengal Chief Minister, warning that the government's move will lead to "civil war and bloodshed". The government and the Supreme Court has assured that the citizens' list, which has triggered a huge political storm, is only a draft. No action will be taken on it for now. Those left out can apply again and will be given a fair chance of proving their citizenship, they have said. The draft list will be made available to public on August 7 and those not on it can file claims and objections from August 30 to September 28, the top court said today. Today, after a stinging attack on the opposition, BJP chief Amit Shah said, "No work can be error free. This is a draft list and if someone is left out he or she will have to apply again".